This caterpillar is an example of which part of the food web? No. The plant is a producer. It captures energy from sunlight, and stores it as food. The caterpillar is eating the plant to get that energy. Yes! The caterpillar is eating the plant (a producer) to get the energy that is stored in its leaves. No. Secondary consumers eat other consumers. 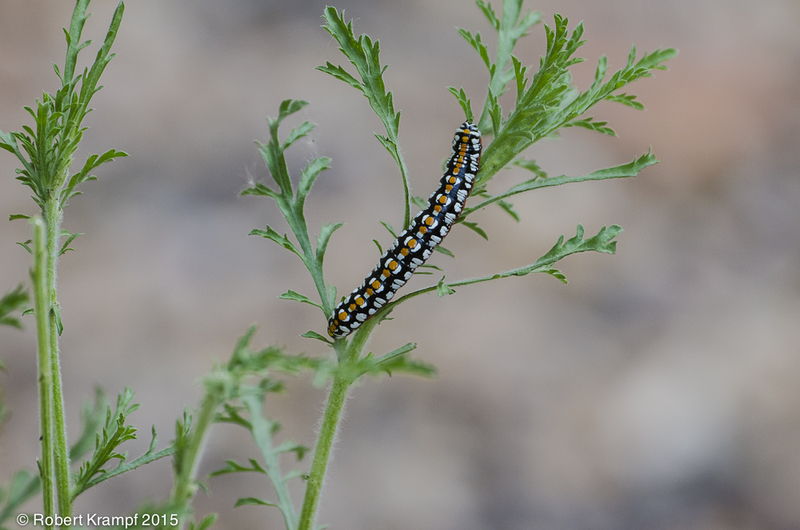 A bird that ate this caterpillar would be a secondary consumer. No. Decomposers break down dead and decaying organisms. The plant that the caterpillar is eating is still alive and growing.